If real-life Jurassic Park scientists ever did bring a 66 million-year-old dinosaur back to life, the discovery of a prehistoric plant in North America for the first time might make it feel at home. Scientists found the plant, a green algae known as Lychnothamnus barbatus, in 16 lakes across Wisconsin and Minnesota between 2012 and 2016. It was thought to have died out in the Western hemisphere during the Cretaceous period, tens of millions of years ago. "[Its] survival isn't, per se, ecologically Earth-shaking, but it changes our view of what the algal flora of North America is composed of and inspires us to keep hunting for more new finds," said botanist Richard McCourt from Drexel University in Pennsylvania. "This means mainly that we don't know as much about what's out there as we could." 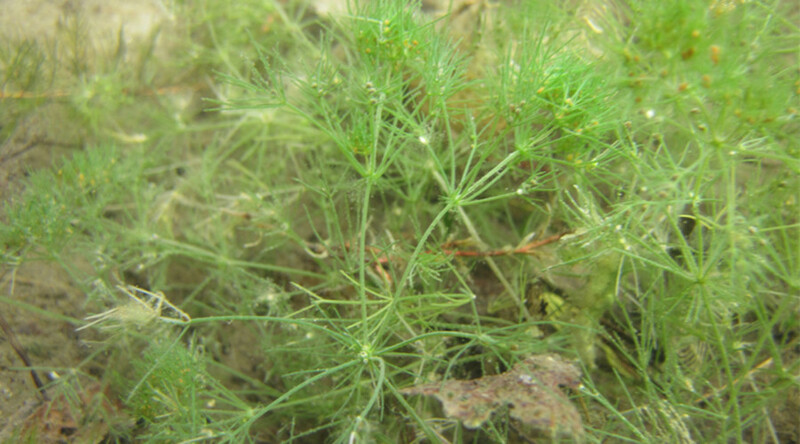 The “stonewort” algae is common in areas of Europe and Australia and has been a good source of nourishment for various species of aquatic life, past and present. The race is now on to discover whether the ancient plant has always been in the US and simply overlooked to date, or if an invader somehow stowed away in the ballast water of a ship. The research, which has been published in the American Journal of Botany, also opens the possibility that a dinosaur-era plant may have survived elsewhere in the North America.